Trippin’ with Dixi Fiber Co. is a small hand dyed fiber shop located in White Bear Lake Minnesota. The name comes from my love of adventures big and small and also from my middle name Dix. My husband is a good ol’ southern boy and he gave me the name Dixi. My time in the studio is an adventure. Color lifts my spirit and my mood. For me, dyeing fiber is like magic and surprise as each color combination reveals itself within the dye pot. As one color melts into another, creating yet another color, I can’t help but feel a charge of energy and excitement. I learn something everyday down in the studio. I accept the flops as a lesson in what not to do and those that work a gift. 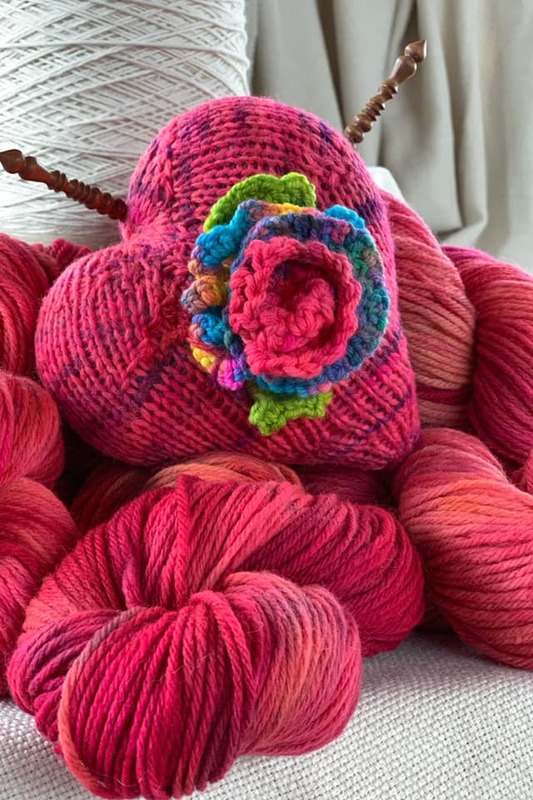 I want to create beautiful yarn so that I can pass it along to those who knit and crochet making their own works of art. Along with yarn, we are now also dyeing fiber for spinners and felters to use in their creations. I am a needle felter as well, and many times will have needle felted creations and other artful oddities pop up in the shop. It gives me a different medium to express myself in and it is fun as well.